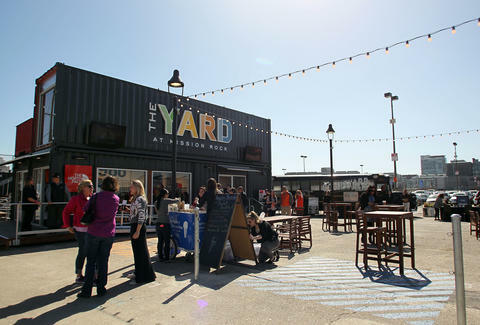 Forget iPhones and Twitter, the coolest innovation to come out of SF is now The Yard, a pop-up shipping container village with a waterfront beer garden. Yeah, you read that right. 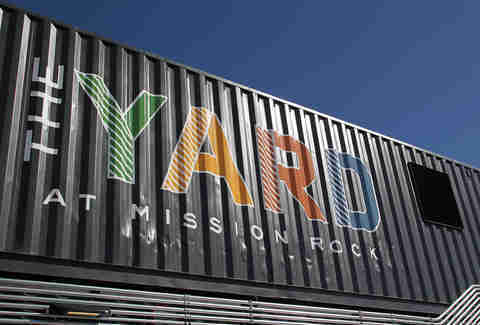 It's a VILLAGE made out of 13 recycled SHIPPING CONTAINERS and there's also a BEER GARDEN. 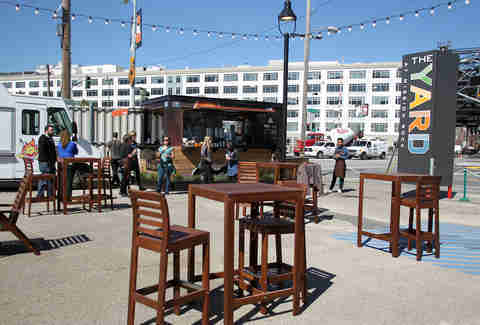 The Yard is also home to Off the Grid's first permanent location, a courtyard that's open from 11am to 8pm and has two food trucks (Señor Sisig and Proposition Chicken are there right now), a Humphry Slocombe ice cream cart, and... wait for it... a retro school bus that's been converted to a wine bar. 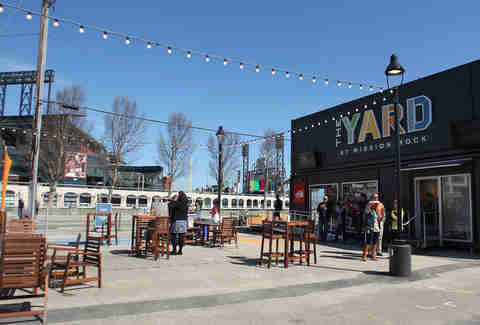 The Yard is also home to the Anchor Brewing beer garden, which will be pouring 16 drafts, including a few exclusive to the location. It'll be open from 11am-9pm, and will likely open earlier for day games. Not in the mood for food from a truck? 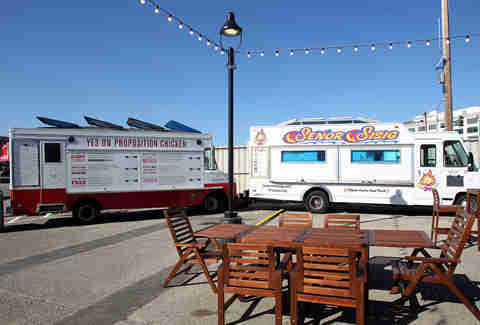 The beer garden will also also have offerings from The Whole Beast like Wagyu beef burgers, lamb burgers, ribs, brisket sandwiches, and two kinds of poutine. Oh. And salads if that's your thing. There's also a Peet's Coffee that will be open every day at 7am, as well as North Face and SFMade storefronts. 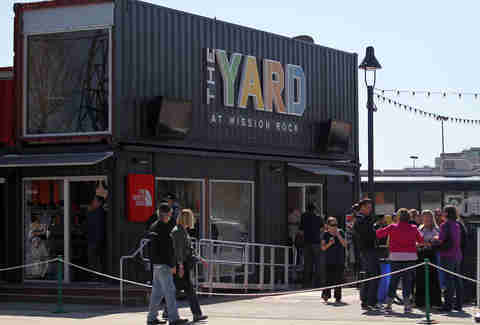 In addition to all of those permanent spots, The Yard will host everything from workout classes to cooking demonstrations, and there will be a Sunday morning farmers' market. Because we all know how much San Franciscans love a farmers' market. You'll find this little village at the corner of 3rd St and Terry Francois Blvd. Game day -- and every day -- will never be the same. Daisy Barringer is Thrillist's SF Editor. She loved The Boxcar Children books when she was little. Follow her on Twitter @daisy.